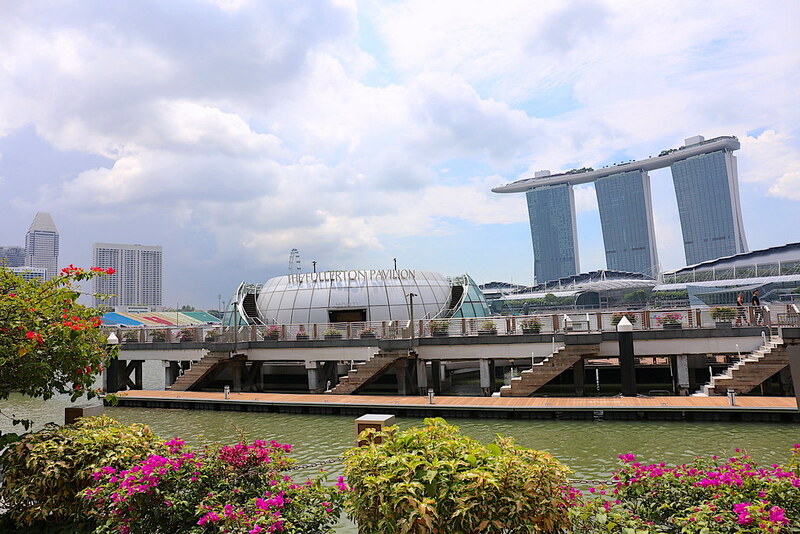 Few things convey luxurious relaxation as a lengthy Italian-style brunch, complete with stunning waterfront views of Marina Bay and its surroundings. Monti at the Fullerton Pavilion hosts this brunch every Sunday from noon to 3pm. 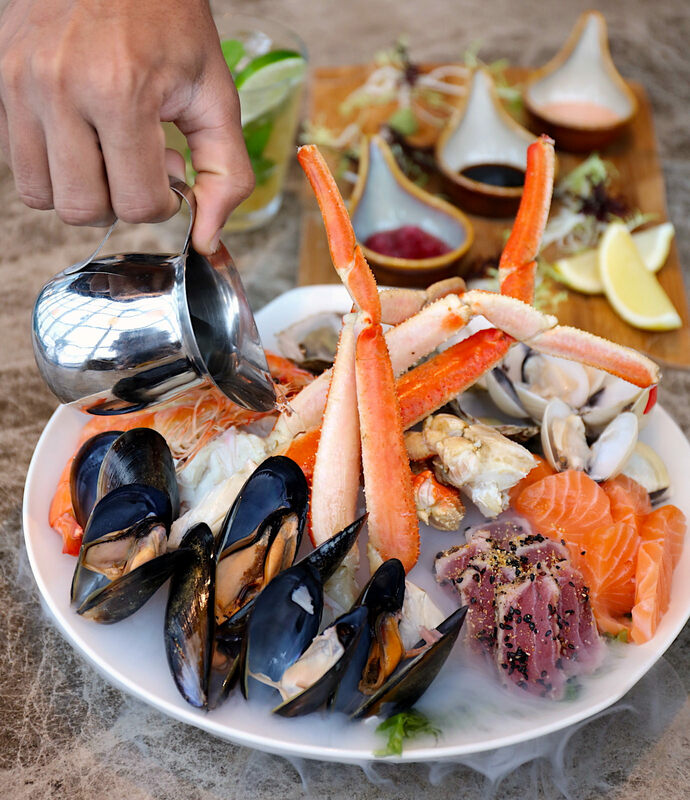 You'll be presented upon arrival with a seafood platter (one per table) - Alaskan King crab, tiger prawn, tuna tataki, salmon sashimi, Fine de Claire oysters, mussels, clams - with three accompanying sauces. You can also request for just the oysters, tuna, salmon and gamberi (tiger prawns). I think presenting seafood this way is a clever way to reduce wastage. They're pretty good with bespoke cocktails. This one is an amazing blend of Cointreau, 12-Year Hibiki whisky, Auchentosan single malt, passionfruit and cherry blossom syrups. The hint of real smoke mixed in lends mystique. 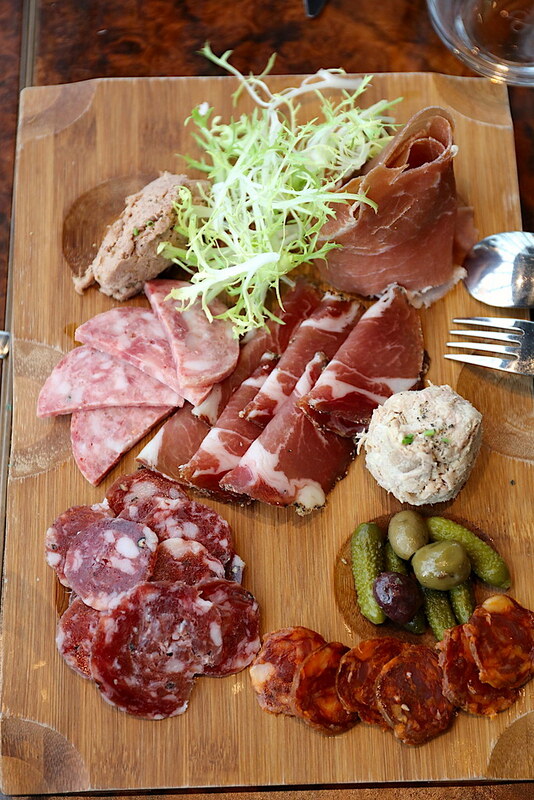 The Cold Cuts comprise Prosciutto (San Daniele cured Ham), Salame (Cured Italian Sausage), Cotechino (Italian Cured Meat); Capocollo (coppa ham), Pork Rilette, Duck Rillette, Nduja (not pictured here), Cornichon and Olives. Is one portion even enough? Of course, for most people, brunch isn't complete without eggs. You can have 'em scrambled, sunny side up, omelette-style or poached. 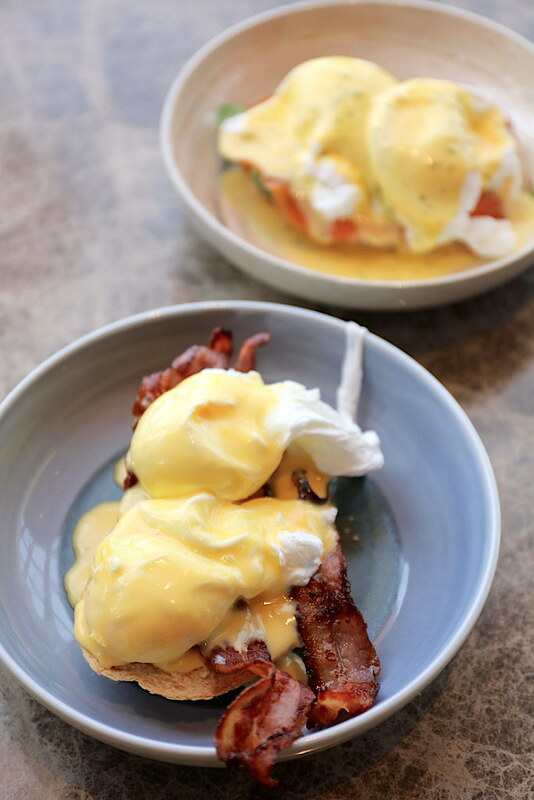 There's Eggs Benedict with Bacon and Hollandaise, which fares slightly better than the Eggs Salmon Florentine with baby spinach and dill Hollandaise. The sweet option is French Toast with honey cinnamon mascarpone, fresh berries or caramelised banana. 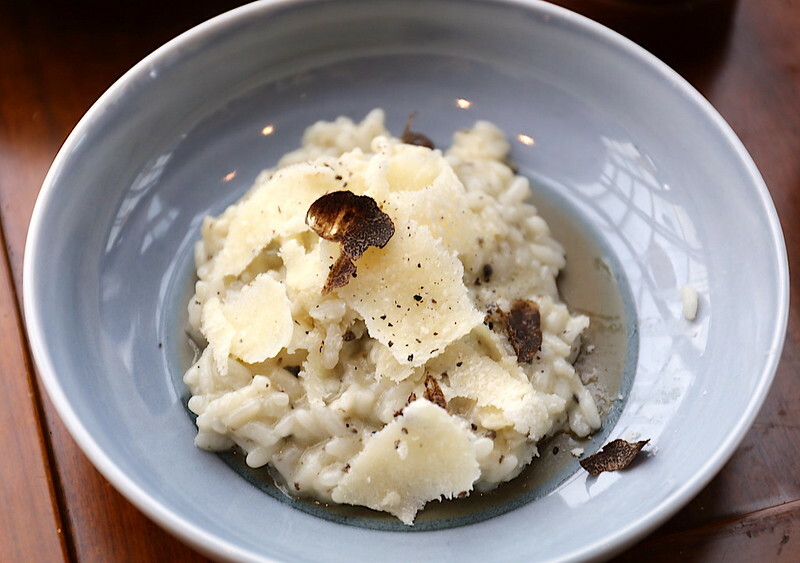 The no.1 highlight at this brunch has to be Monti’s famed Truffle Risotto. 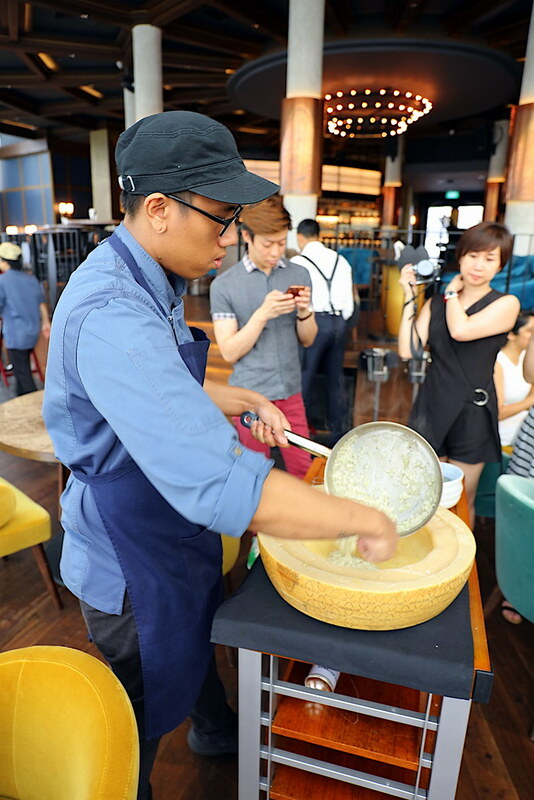 It's prepared tableside in a parmesan cheese wheel. 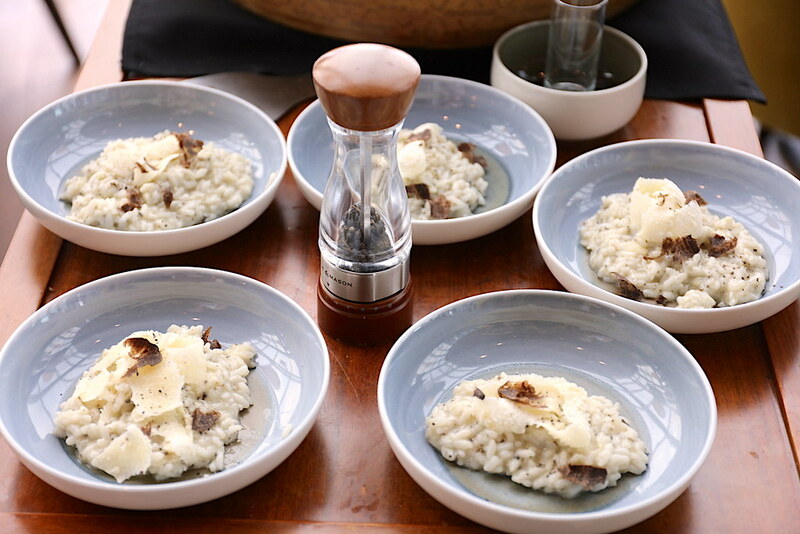 The heat from the warm risotto gets the cheese all melty and blended in. The ensuing flavour is incredible when perked up with black pepper and black truffle. Seriously, I could eat five bowls of this. 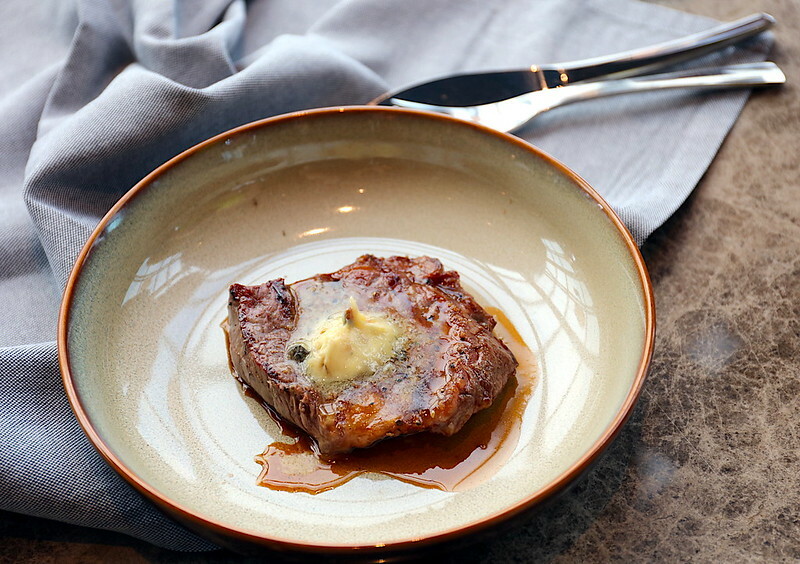 The good news is - this dish is also available on the regular daily menu. It's one of the most popular dishes here, and I can see why. For the mains, there are about nine dishes to pick from. We were surprised by how good the Ribeye Steak was. 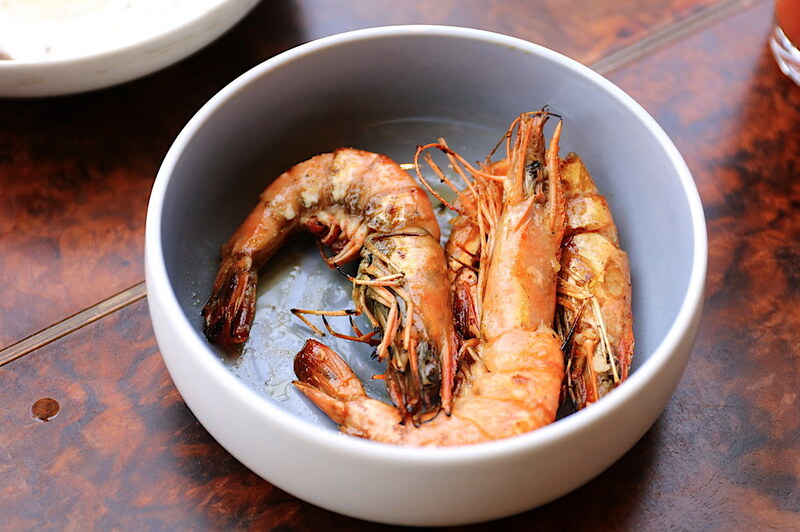 My neighbour's Prawn Bowl smelt very tempting with olive oil, garlic and chili padi. 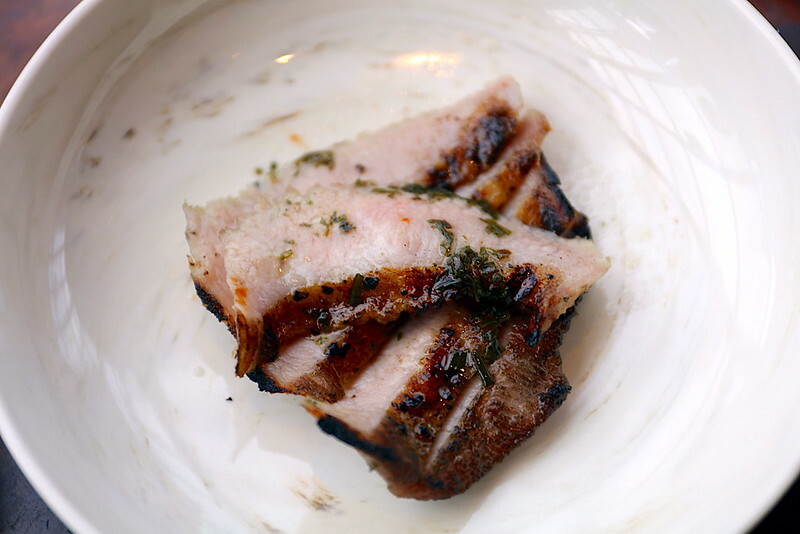 The Charcoal Grilled Iberico Pork Jowl sounded really good, but it was a little tough and chewy. A little strange given that pork jowl is normally one of the most tender parts. 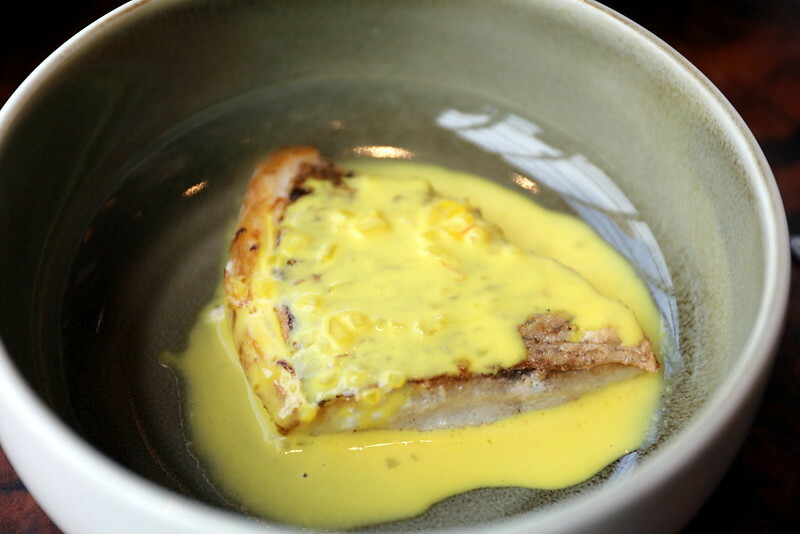 The Seabream with Saffron Sauce didn't quite meet expectations. The sauce seemed to detract from the fish. I notice on the current menu the fish has been changed to Sea Bass with White Wine Sauce. You can customise your own pasta and ingredients. 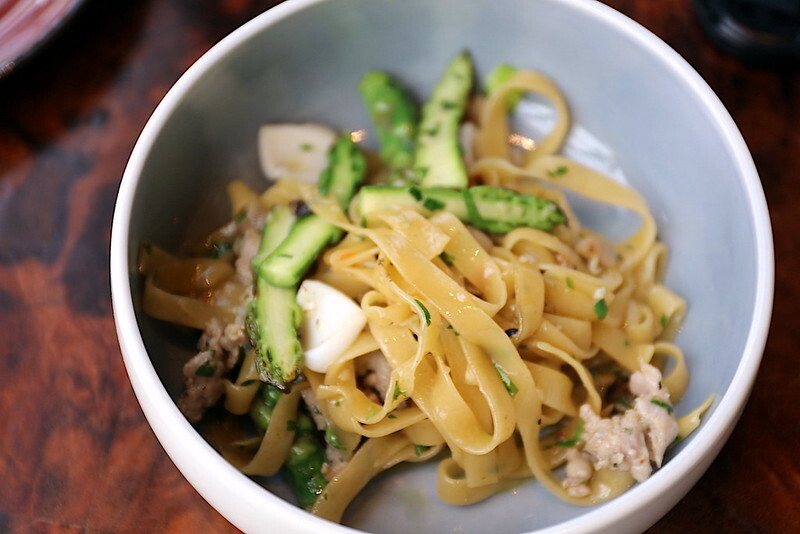 This is Aglio Olio Tagliatelle with Bacon, Asparagus, Squid and Kurobuta Sausage. The flavours are mild but the pasta is nicely al dente. I'd shave a lot of chili padi into this, but that's just me. There is a basic Salad Station with all the basics - mixed salad, cherry tomatoes, carrots, onions, cucumber, parmigiano, feta cheese, croutons, bacon bits and dressings - but I reckon it's going to be sadly neglected with the variety of dishes you can order off the menu. There's also a Soup Station with choices like Mushroom Soup and Minestrone, served with farmers bread and butter. There are also unlimited helpings of cheeses to enjoy. I can't believe I missed trying out these - Pecorino, Gorgonzola, Truffle Pecorino, Provolone, Taleggio and Stracciatella - but we really did have a lot of food. 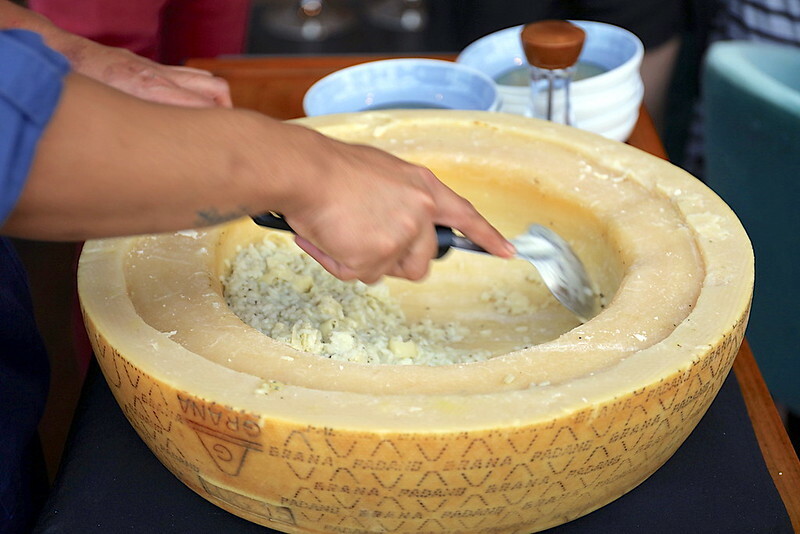 Besides, the Parmesan wheel risotto did more than satisfy my cheese fix. 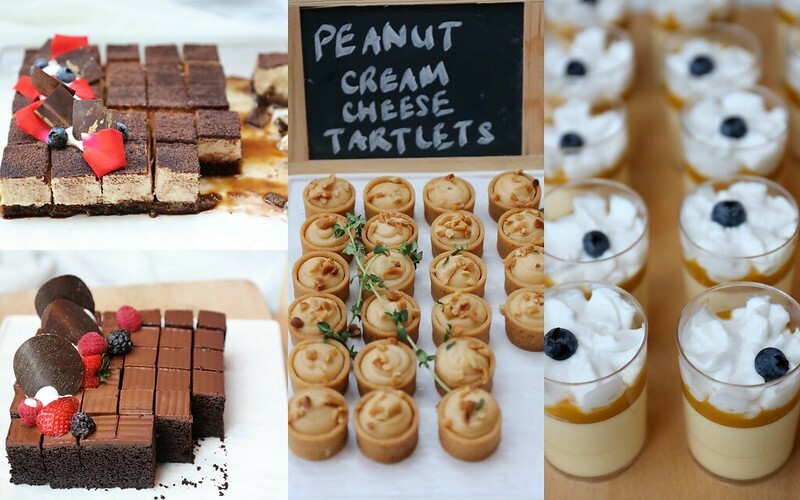 There's an entire Dessert Cove with a selection about almost a dozen desserts: Torta Caprese (Chocolate Torte), Amaretti Cookies, Mango Pannacotta, Peanut Cream Cheese tartlets, Tiramisu, Zabaglione shooters, Melon salad and Lemon Rosemary tartlets. 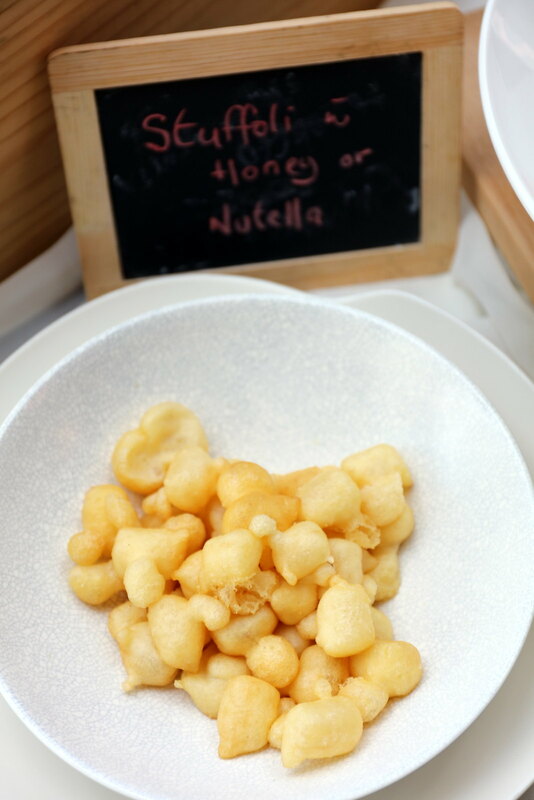 Of these, the Struffoli with Honey & Nutella (live station) made us most curious. These little dough fritters were so fun to eat with their gently chewy texture. 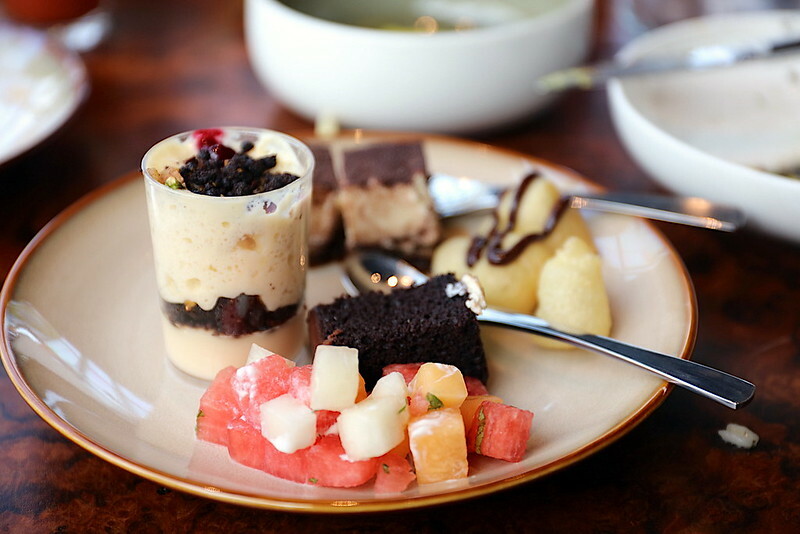 I tried to be conservative with desserts, but still couldn't help taking a little bit of everything to try. Monti stands at the Fullerton Pavilion where Catalunya used to be. 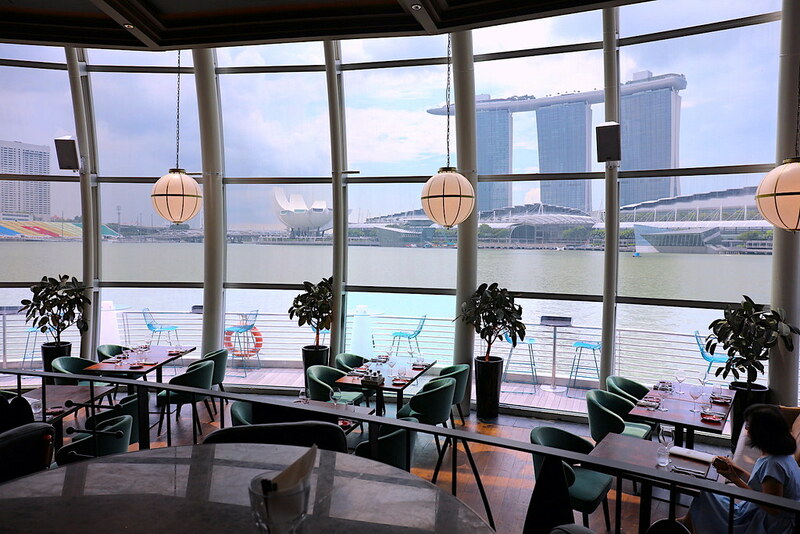 Dining by the bay does mean breathtaking views especially with tall floor-to-ceiling windows. 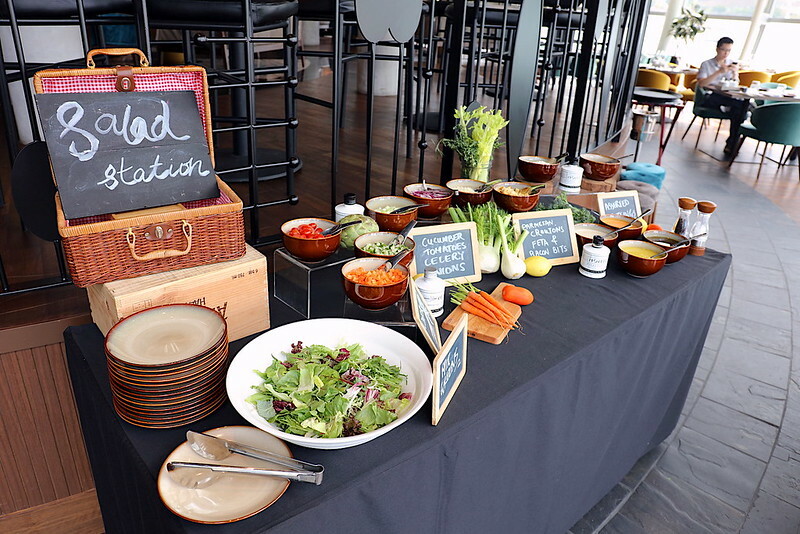 With prices starting at only $90++ per person, the Brunch Buffet is ideal for younger families, whilst the $140++ brunch package gets you free-flow wine; and the $160++ free-flow champagne. 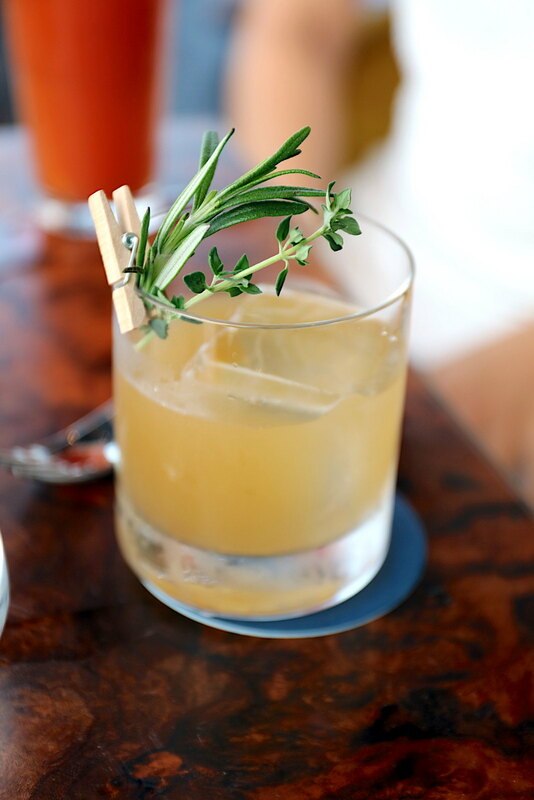 Booze and brunch go hand in hand, but I'm happy to skip the alcohol most of the time. McDonald's Goes Bananas with Minions!